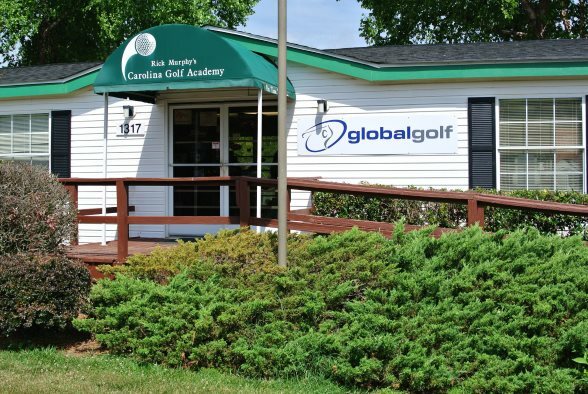 In conjunction with the Rick Murphy Golf Academy our Greensboro, NC location offers a premium golf shopping experience. Our extensive experience in product sales carries over to our retail location offering the game’s hottest equipment, apparel, and accessories from top brands including TaylorMade, Callaway, Ping, and Nike. Working with the Rick Murphy Golf Academy the facility hosts numerous events through-out the year, including demo days, fittings, golf camps, and clinics. The facility rests on 30 acres and includes practices tees, a 5,000 square foot putting green, short game area with bunker, practice holes, indoor hitting bays, and light for nighttime practice. We look forward to providing the equipment you need while working to improve your skills, ensuring you enjoy the game to the fullest.